If you would ask an average human being about what he or she associate corn with, the answer would probably be: salad, boiled corn, salted corn, popcorn, going out to the cinema and horror films (we have no idea why are they always run through the corn fields in this type of film). Not many people associate corn with… beauty. Meanwhile, obtained from corn germ and cold pressed oil is a diversity of polyunsaturated fatty acids omega-6 and omega-3. It is great for very damaged hair with high porosity, because it consists large particles, which on the surface of the hair create additional, protective film to prevent frizz. Oil will take care of weak, brittle and high porosity hair. Thanks to which you can avoid fly-away hair. Another treasure hidden in the golden oil is vitamin E, commonly know as a vitamin of youth. It inhibits ageing processes of skin, eliminates free radicals, which can contribute to damage of skin cells and prevents cancer. 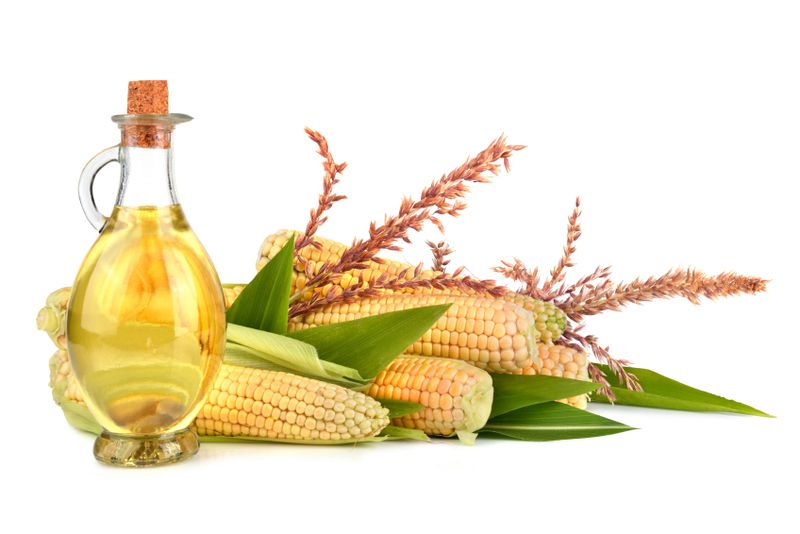 Content of palmitic acid is a reason, women with low porosity hair can also use corn oil. Best in form of hair mask applied prior to hair wash. If you leave oil on hair, it could weight them down. Golden oil contains a lot of phytosterols, which besides helping with lowering cholesterol level and taking care of the heart, additionally strengthen immune system of the entire organism, including skin and hair. The last one become resistant to damage and handle hairdresser’s treatments much better. Hair will repay us not only with beautiful appearance, gloss and lack of split ends, but also become more liable to stylisation. Therefore, corn oil used on regular basis helps with wild hair. This is good news, especially for women, who have low porosity hair – it is because their hair are often very stiff and thick as well as difficult in stylisation, because they deform and go back to their previous form. Last, but not least, very handy news: corn oil does not like light. It deprives the oil, its most valuable ingredients. Ergo, cold pressed oil should be kept in dark glass bottle and used up pretty quickly.